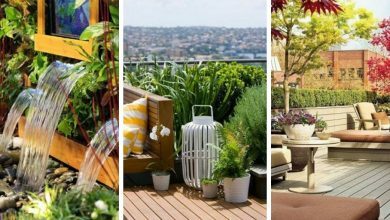 Creating a vertical garden is an excellent way to save space. 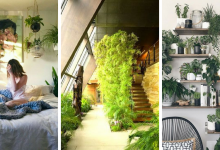 Vertical gardens do not occupy your floor space and they are more decorative than traditional gardens. Besides, you can basically grow any plant vertically. 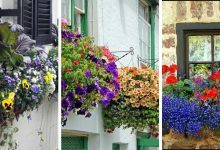 However, in order to create a vertical garden, you will need to plant your plants in containers. 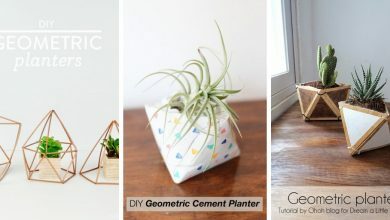 This may be tricky because not all plants grow well in containers. 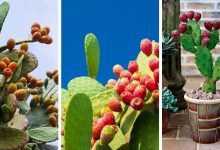 Therefore, this post contains a list of the climbing and vining vegetables for vertical gardens that can grow perfectly in containers. Additionally, all the vegetables in the below list are highly productive vegetables. If you grow them, you will be rewarded with a heavy yield. What are you waiting for then? go ahead and check them out. Nasturtium is one of the tastiest vegetables. It is famous for its unique flavor. Every part of this vegetable is edible. However, its leaves are the most flavored part. They are distinguished by their pleasant peppery and a mustard-like flavor. Nasturtium is widely used in salads. However, there are many other healthy uses for this admirable vegetable that include medicinal uses. Nasturtium is also known for its fast growth. It can mature and ripen only in 6 weeks. Nasturtium can be easily grown in containers. In fact, since it is a delicate vegetable, it is better to grow it in containers than to grow it directly in gardens. Besides, growing it in containers will allow you to use it for decoration as it is a very decorative plant. Tomatoes do not need an introduction. They are widely known and widely popular. This popular plant is one of the most rewarding plants when it comes to productivity. Besides, it is also very versatile. You could eat it fresh or cooked. Either way, you will enjoy great taste and greater health benefits. There are two main varieties of tomatoes and they are both fir to grow in containers. 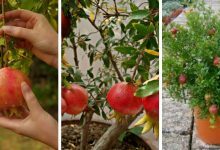 If you wish a full detailed guide on growing tomatoes in containers, read this article which contains all the necessary tips and instructions. Malabar spinach is a very productive plant that is considered as one of the best providers of green leaves. It is also a low maintenance plant that can grow even when the conditions are not favorable. Malabar spinach is originally a tropical plant, yet, it grows perfectly in moderate climates. It is also a fast-growing vegetable, thus you may need to harvest whenever it becomes bushy. You should also keep in mind to provide it with support in order to help it grow straight up. All varieties of spinach are suitable to grow in containers. 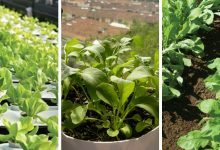 This article will provide you with the best tips on growing spinach in containers. This is the first time we are going to talk about Loofah on our blog. This tropical plant is known for being a natural sponge. However, it is an edible vegetable that you could use in different cookings. Either way, Loofah is has a variety of health benefits. Loofah can be eaten fresh or cooked. Nonetheless, it is extremely healthy and tasty in both cases. For growing Loofah in containers, it is highly recommended that you use large size containers. Indian beans are native to South Asia. Although it is the least known bean variety, it is one of the healthiest and the most delicious beans. Since Indian beans originate from subtropical countries, they require a warm climate to grow. You should provide them with temperature degrees that range between 55F and 60F. This vegetable produces exotic delicious fruits. Its fruits are shaped like a pear that is similar in its look to pumpkins. Chayote loves cool climates. 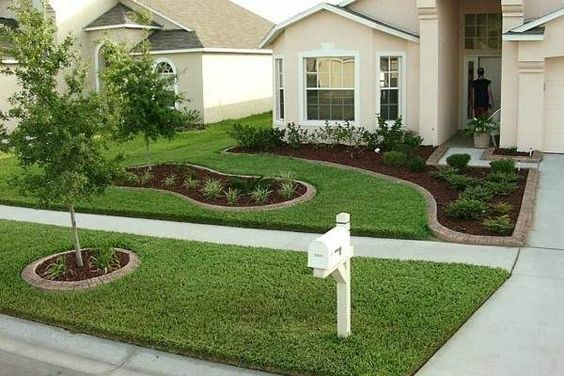 This is natural considering the fact that these plants originate from subtropical climates. Growing Chayote in a container is possible as long as you live in a cool climate area. The container you choose should have adequate drainage holes. You should also keep the soil constantly moist. These two conditions are crucial to successfully grow this plant. Once you provide Chayote with appropriate growing conditions, it will produce heavily. I know this is a bit uncommon but growing Pumpkins in containers is both possible and rewarding. Of course, not all varieties of pumpkins are fit for container gardening. There are some small varieties such as Baby Pam, Small Sugar, and Spooktacular that are perfect to grow in containers. These varieties usually produce small pumpkins that do not exceed 5 pounds in weight. The best feature of these varieties is that the fruits they produce can many common insects and pests including aphids and squash bug. To successfully grow pumpkins in containers, you should provide these plants with a location where they can receive a lot of sunlight, a protection from the wind, and a moist soil. These vegetables can grow to reach 10 feet tall. Thus, they are ideal to grow in containers. 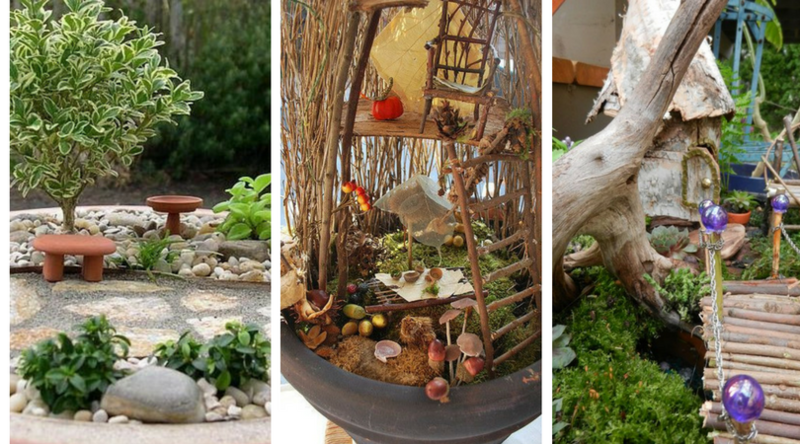 You could place them in your yard, balcony or even porch. Since Pole Beans love warm soil, growing them in container yields better results than growing them in gardens since gardens’ soil are cool. It is highly advisable that you use large containers from the beginning. Pole Beans are just like any other kind of beans, they don’t like transplanting. 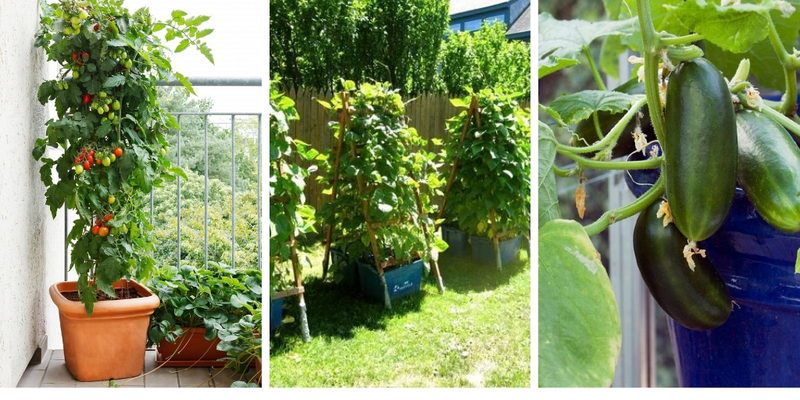 Runner Beans could the most productive plant in tight space. Although it is mainly grown for decorative reasons, this lovely beautiful ornamental plant produces edible healthy leaves. Growing Runner Beans in containers is possible as long as you provide them with a fertile soil, an access to sunlight and a lot of regular watering. You could harvest Runner beans anytime you want to, however, their leaves are more delicious when they are picked up early while they are still young and small. If you let them grow fully, they may lose their taste. Don’t forget to add support to promote their growth. When it comes to choosing an appropriate vegetable to grow in containers, Peas make it to the top of the list. It is a low maintenance plant that produces generously without asking for much attention or care. Besides, Peas are very sturdy and they can grow in sunny spots and partially shaded spots. Peas grow best in moderate cool climates. 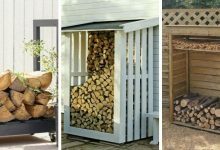 Grow them in the spring if you live in a cool climate area, however, for hot regions, it is better to grow them in winter. Either way, you should provide Peas with a fertile soil and regular watering. Cucumbers are one of the heat-loving veggies. Therefore, it is better to grow these plants in hot weather regions. Although all cucumber varieties are ideal to grow in containers, some varieties grow and produce better than others. 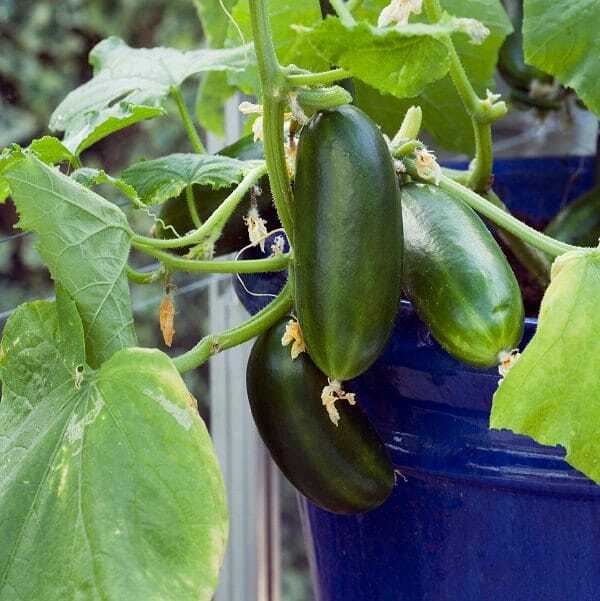 The best cucumber varieties to grow in containers are Salad, Hybrid, and Picklebush. 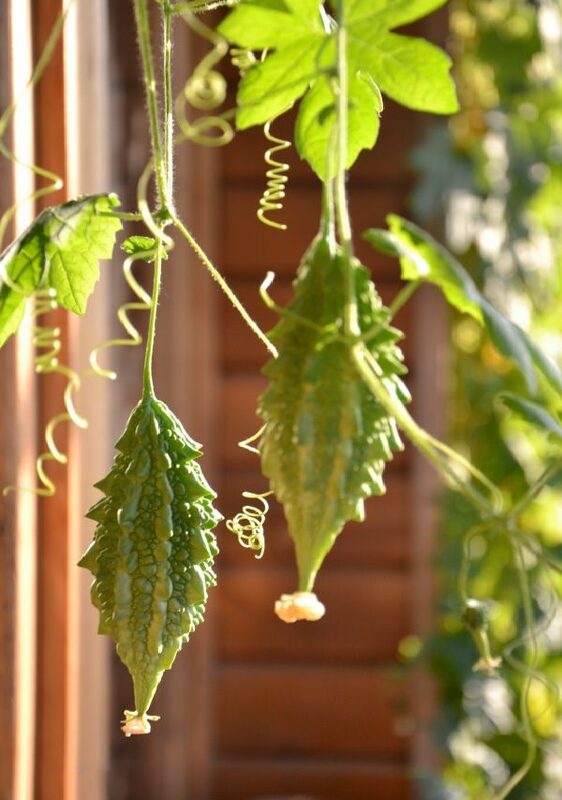 To learn how to grow cucumbers in containers, I recommend that you read this detailed guide. In South Asia, this plant is one of the most favorite vegetables. It is popular because of its huge health benefits and large medicinal uses. Besides its health benefits, Bitter Melon is loved for its extremely unique taste. Just like the rest of the gourd family, it requires a good quality soil and adequate regular watering. 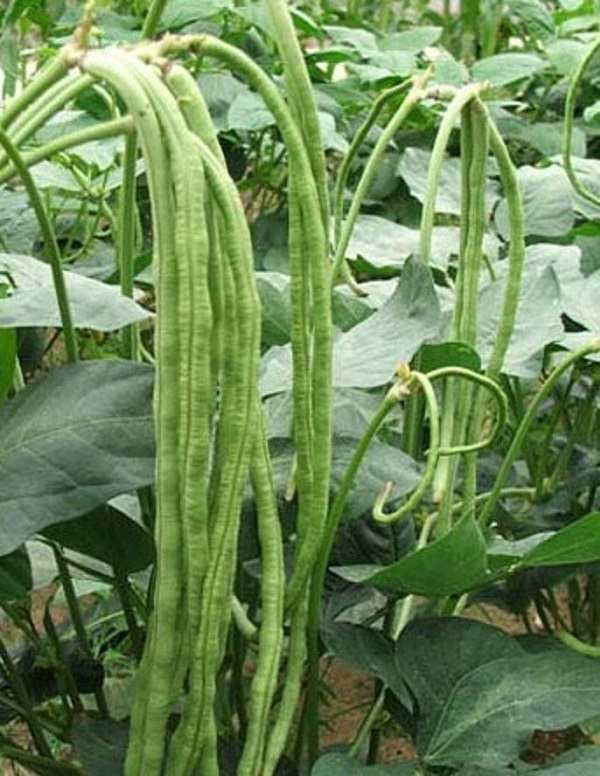 It is also called Chinese long beans, one of the most popular beans in Asia. This amazing plant is perfect to grow in containers. It usually grows up to 20 inches. It is edible and can be eaten both fresh and cooked. It is widely used in man popular Asian dishes. Long beans prefer hot climates. These plants are heat loving. They can also grow in cool climates, however, they will be less productive. 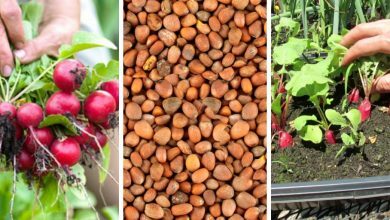 Either way, you will need to provide these healthy veggies with a good support to help them grow and thrive, a deep large container, and a good quality soil. 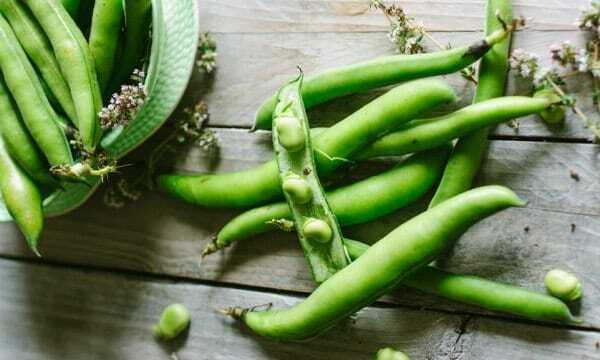 Although many of you are not familiar with Broad Beans, they are very delicious and healthy. They are extremely popular in the Middle East and North Africa. They are added to many cookings and they could be cooked alone. To cook them alone, boil them in water with turmeric and salt and spice and you will have an amazingly delicious dish. Just like other varieties of beans, Broad Beans are not demanding at all. 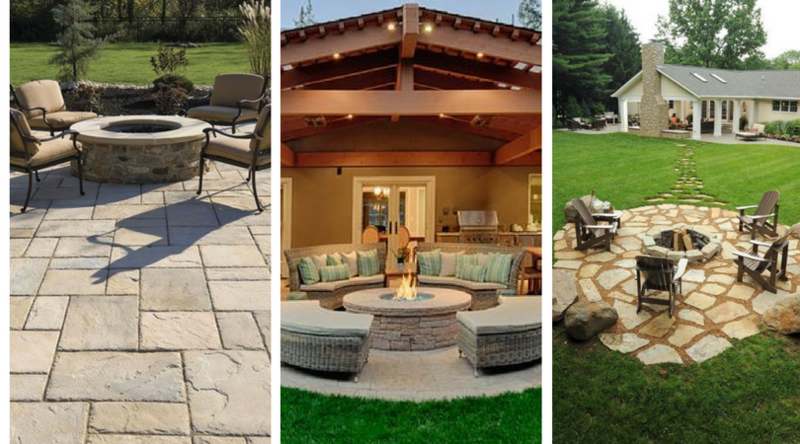 They can tolerate different climates and they don’t require much care. 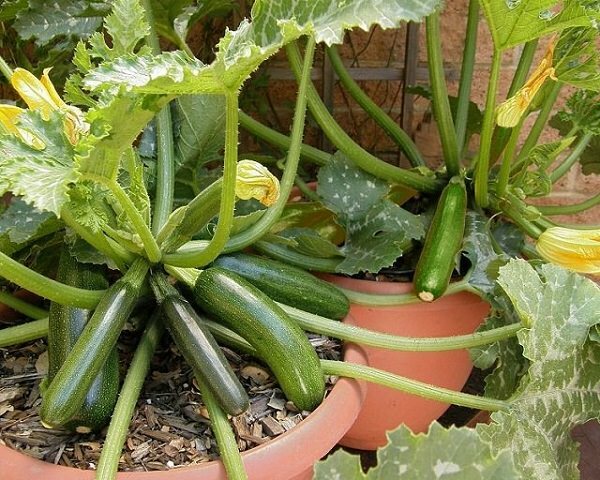 Summer squash or zucchini are perfect to grow in containers. These vegetables are not low maintenance. They require at least 7 hours of sunlight exposure daily, fertilizing and certainly regular watering on daily basis. However, considering their deliciousness and huge health benefits, they are completely worth investing in. One of the best features of zucchini is that it grows fast. It grows up between 2 and 4 feet in height, thus, you can even grow it indoors without problems. Winter squash could be grown in containers. 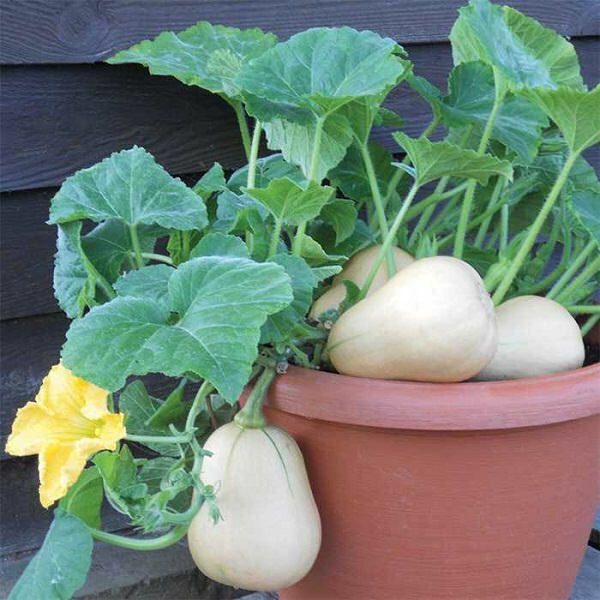 It won’t be easy since this vine plant spreads really fast, but, with proper care and observation, growing winter squash in containers could be a very successful project. Besides constant observation, these plants require careful watering otherwise they will be vulnerable to many pests. There are many varieties of melons. These varieties could be divided into vine varieties and non-vine varieties. Both varieties can grow in containers. However, for best results, you should choose Cantaloupe, as well as sugar baby watermelon to grow in containers ad vine varieties. These two varieties require moderate temperature degrees and occasional watering to grow and thrive. It is recommended that you stop watering once these varieties reach 9 inches. These are the best climbing and vining vegetables for vertical gardens. These vegetables will grow and thrive vertically in containers. 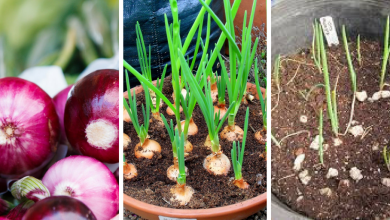 Some of these veggies can be grown indoors which an excellent choice because it allows you to garden while decorating your place with some nature. 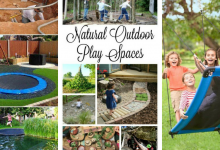 If you appreciate our work, please share our posts with your friends.